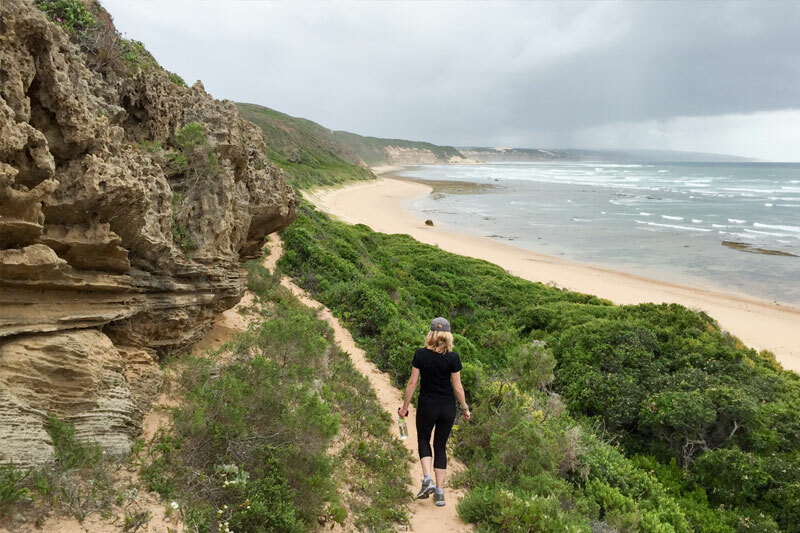 This easy trail through Geelkrans Nature Reserve is a great option for a morning in Stilbaai, the circular route stretches for 8 km and will take you 3 hours to complete. The first 4 km takes you through indigenous dune fynbos and renosterveld, and it’s a real treat to see all the different plant species and the flowers depending on which time of the year you walk. When you reach the coast you’ll see why it’s called ‘Geelkrans’ as you marvel at the yellow sand cliffs that extend above the high water mark. The remaining 4 km you walk along the coast back to the starting point. Keep an eye on the tides as this is much better during low tide as you’ll be able to explore a lot more of the beach. There are opportunities to go snorkelling and swimming so take your gear along if you want. Pack water, snacks, sunscreen and wear a hat – even when it’s overcast!